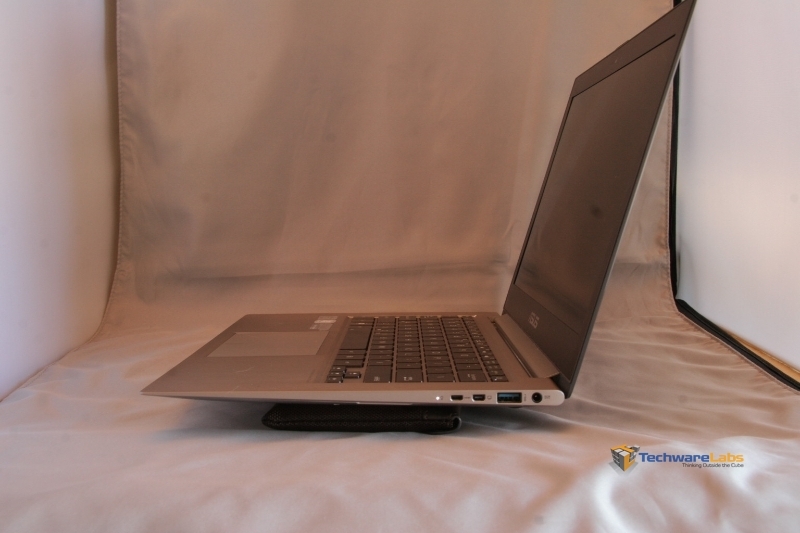 “Ultrabook” is one of those phrases that has lost much of its meaning over time. 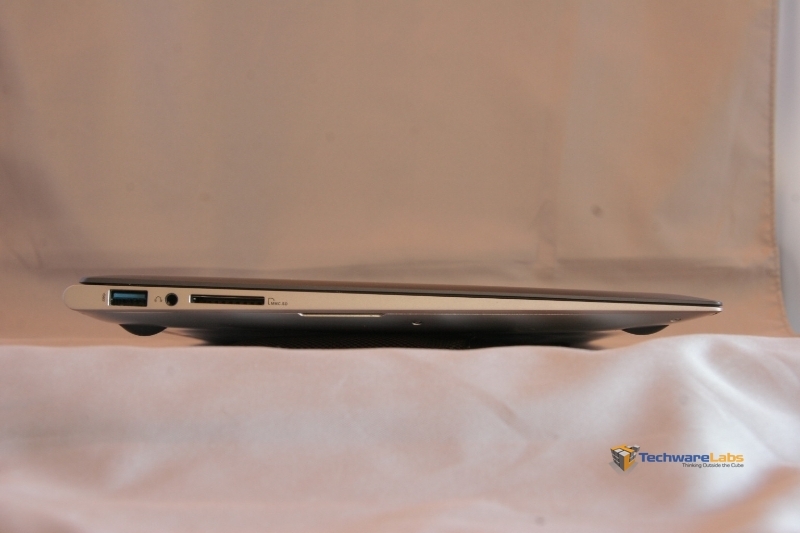 When Intel initially dreamed up the concept, they were looking to see Windows-based competitors to the Macbook Air. What manufacturers delivered has varied so widely in price, features and finish that “Ultrabook” can mean just about anything. 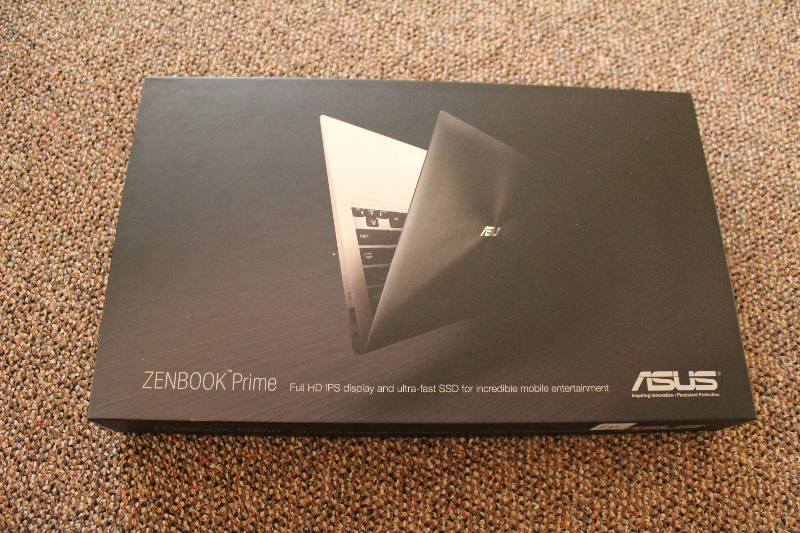 Asus, however, seems to be cleaving close to Intel’s original intent; the Zenbook Prime UX31A looks at first glance to be a slick competitor to Apple’s featherweight offering. First impressions can be deceiving, though, so we’re taking a closer look to see if this little slice of Zen lives up to its promise. 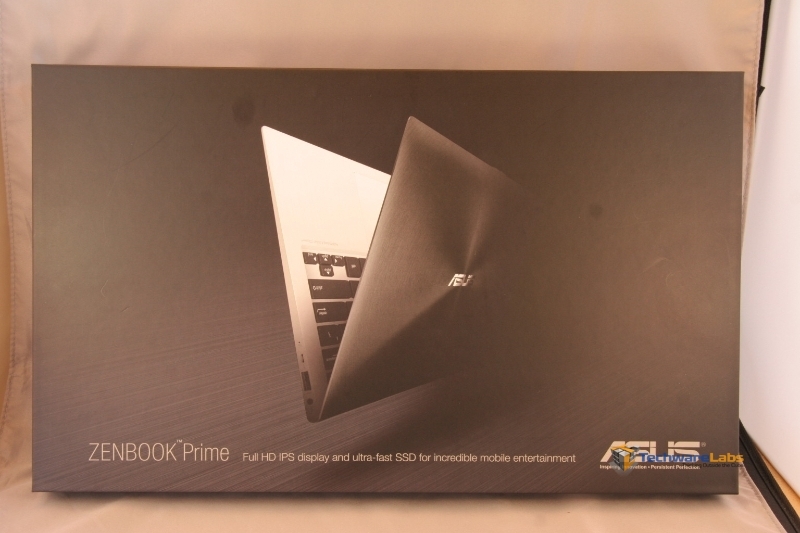 We’d like to thank TigerDirect for providing us with the Zenbook Prime UX31A for review. 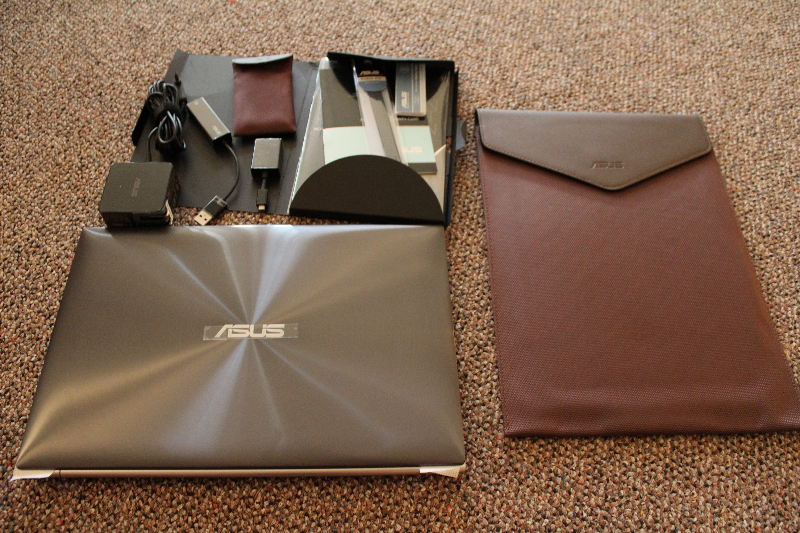 You can grab one of your own here, or take a look at their full selection of Ultrabooks. Just looking at the box, you can tell that this isn’t going to be your usual bargain notebook. 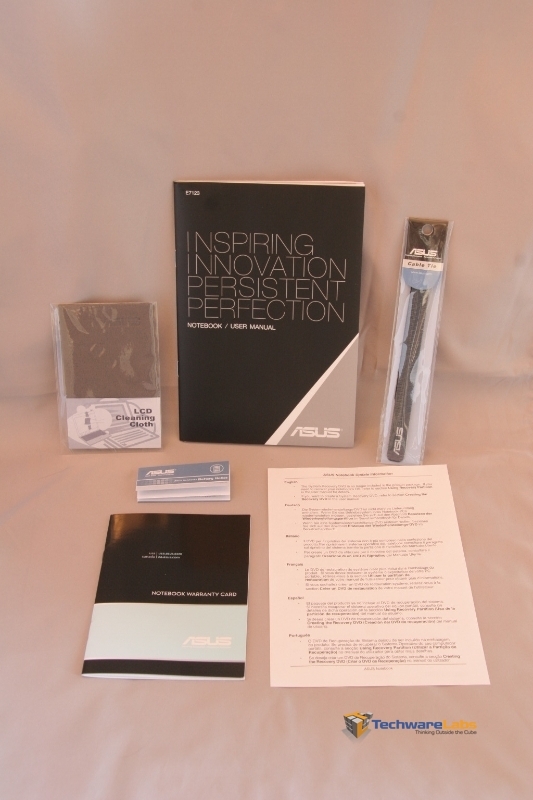 The black box features an interestingly posed product shot front and center, one that highlights the Zenbook Prime’s slick lines. 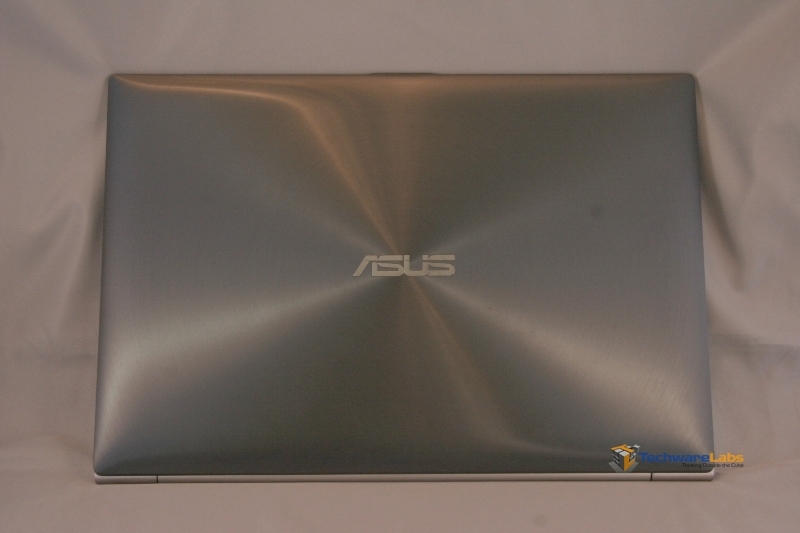 The top of the unit consists of a slick, brushed aluminum panel with the Asus logo front and center. 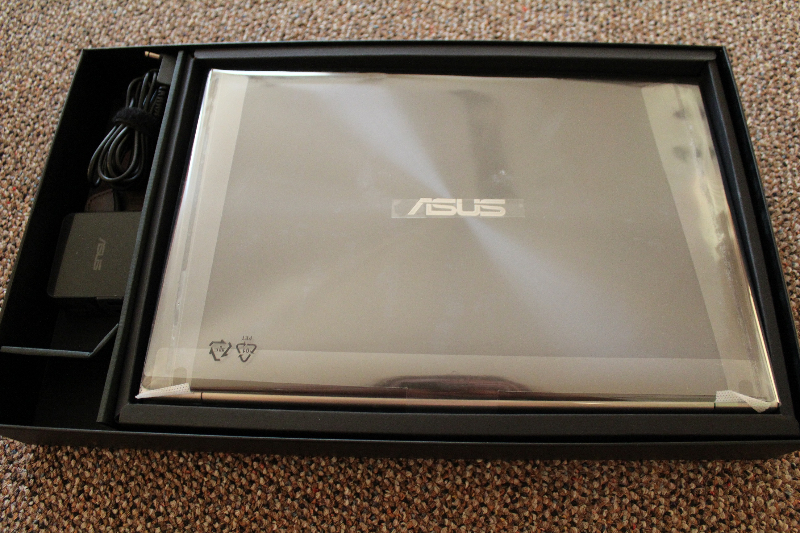 While it looks nice out of the box, it is a bit of a fingerprint magnet; you may want to keep a cleaning cloth handy if this bugs you. The bottom of the unit is surprisingly clean, with only a couple of small stickers near the intake vents. 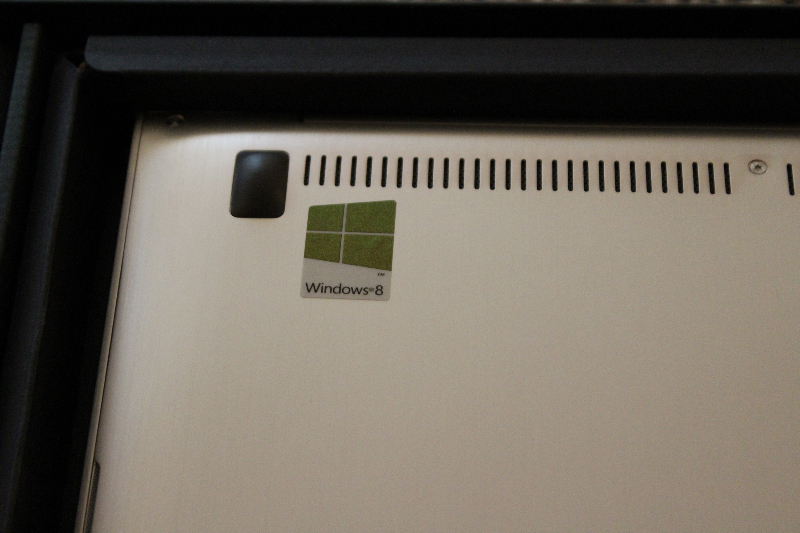 Notably absent is the Windows license key sticker; that’s been put on the power brick. The four rubber feet in the corners will keep the intakes clear when sitting on a desk, but won’t do much to help when the unit’s on your lap. With the unit open, you might be forgiven for mistaking it for a Macbook Air at first glance; the keyboard, clicky trackpad and brushed aluminum enclosure are all very reminiscent of Apple’s offerings. The stickers along the bottom left edge are a rude reminder that you’re still in PC land, though. Given how clean the rest of the notebook is, it’s disappointing that they felt the need to slap these on. 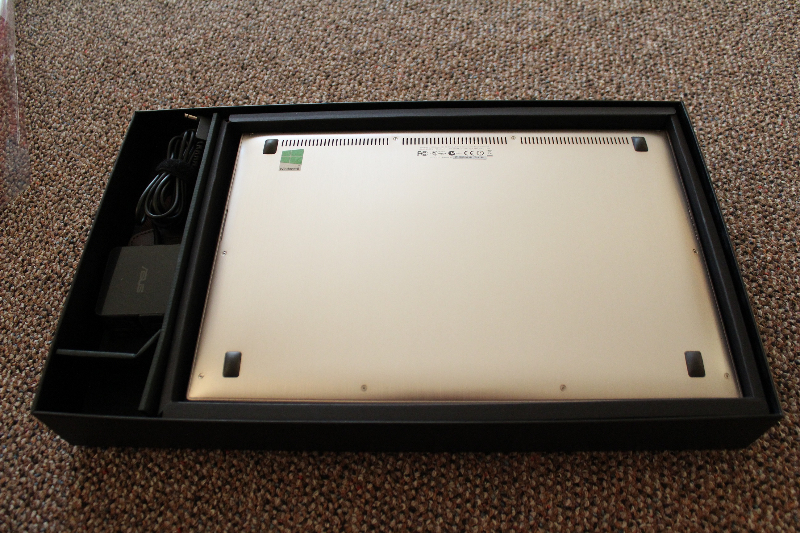 The trackpad is a satisfyingly large affair, with no buttons to mar the surface. 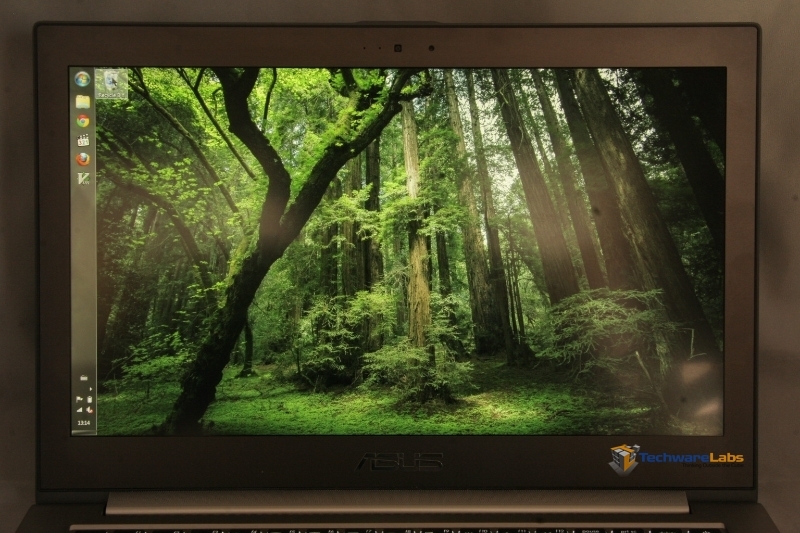 The whole pad clicks, but where Apple used glass on the surface, Asus has opted for satin-finish aluminum. In practice, it works pretty well. 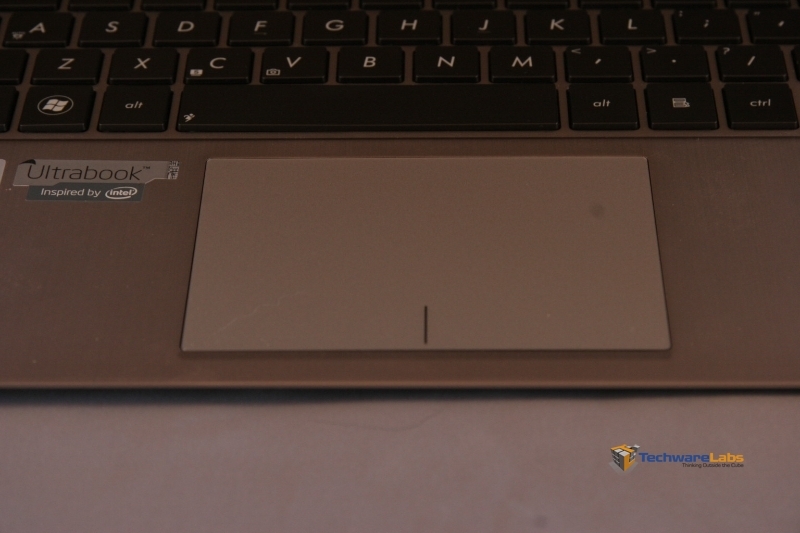 The line at center bottom serves as a reminder of the trackpad’s click zones: most of the pad will left click when pressed, while the bottom right corner will right-click. 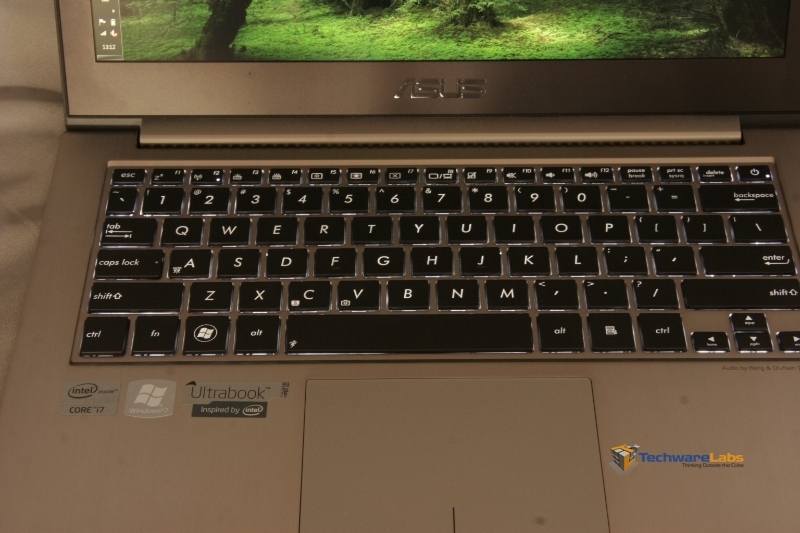 The backlit keyboard is a fairly standard affair, but a nice addition and useful on a laptop, with chiclet-style keys that have a responsive feel. Like Apple’s offerings, the backlight is tied to an ambient light sensor, and can be toggled between off and three brightness settings. 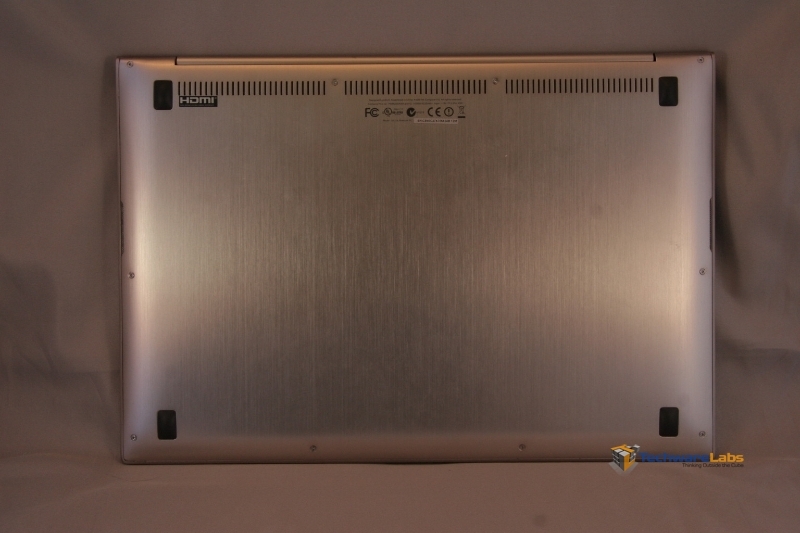 The power button is wedged into the upper right of the keyboard area, on the function key row. Normally, I’d be worried about accidental power-offs when reaching for the backspace key while touch typing, but the button doesn’t do anything unless you hold it for several seconds, and even then it gives you a list of options to choose from. 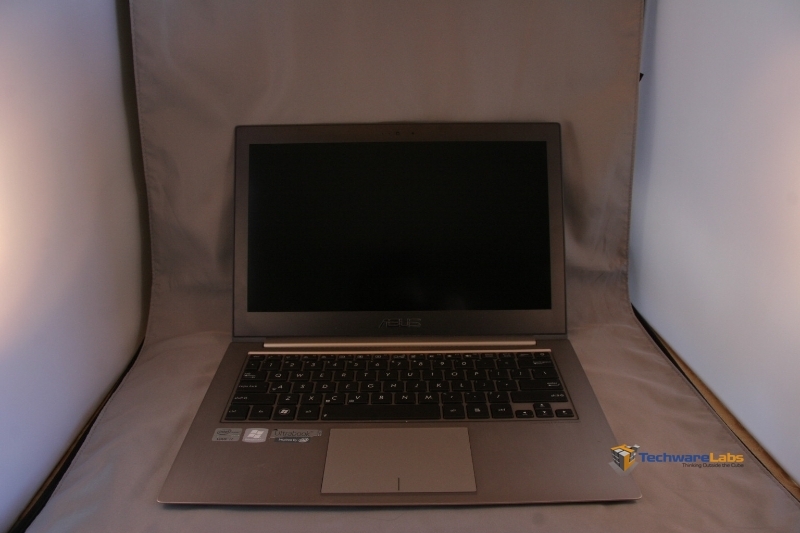 The screen is easily the most outstanding feature of this notebook, Asus has managed to cram a 1080p IPS display into a 13.3″ form factor, and the result looks spectacular. There is a noticeable contrast dropoff when viewed from more than 45 degrees off-axis, but color fidelity remains excellent at any viewing angle. The screen’s matte finish is also a welcome decision for anyone who has to deal with bright overhead lighting that can’t be repositioned, reflections are diffuse, and don’t interfere with visibility. As you would expect, text is small at the default font size, but still sharp and readable. If tiny fonts give you problems, bumping the font size in Windows up to 150% brings things back up to what you’d expect from a lower resolution monitor, but with increased sharpness. The port selection along the sides is both more and less than I expected. 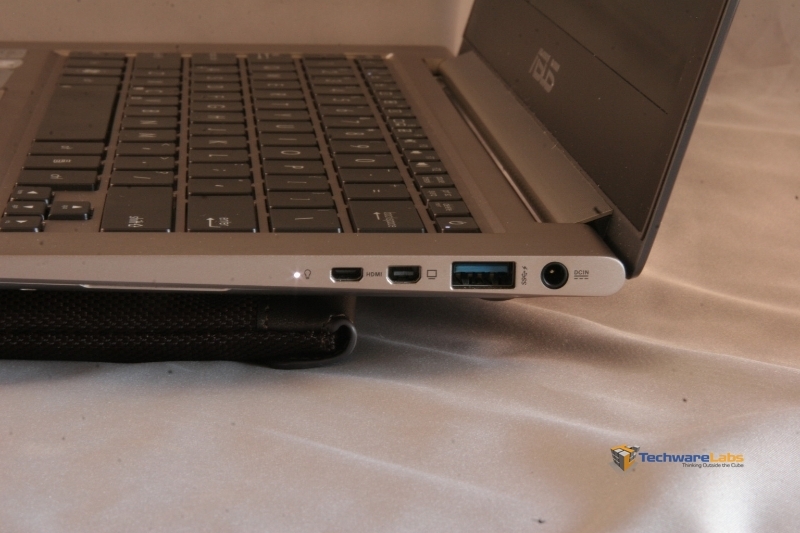 The right side has the power plug, one USB 3.0 port, a mini DisplayPort, a mini HDMI port, and a power indicator light. The right side gives us another USB 3.0 port, a TRRS headset jack compatible with most smartphone headsets, and a SDXC/MMC card reader. Notably absent is an Ethernet jack or any kind of legacy video port; those are provided by dongles included with the unit. As expected of a unit this slim, there is no optical drive of any kind, but those are becoming increasingly unnecessary these days. Included with the unit is a surprisingly useful set of accessories, including the power brick (with the aforementioned Windows 7 license key sticker), a miniDP->VGA dongle, a USB 10/100 Ethernet adapter, a little bag to hold the dongles, and a large felt-lined sleeve to carry the Zenbook itself in. 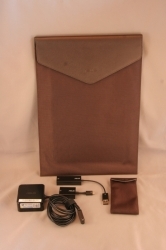 Included in the documentation packet is a manual, warranty card and other documentation, a velcro cable tie and a microfiber cleaning cloth. 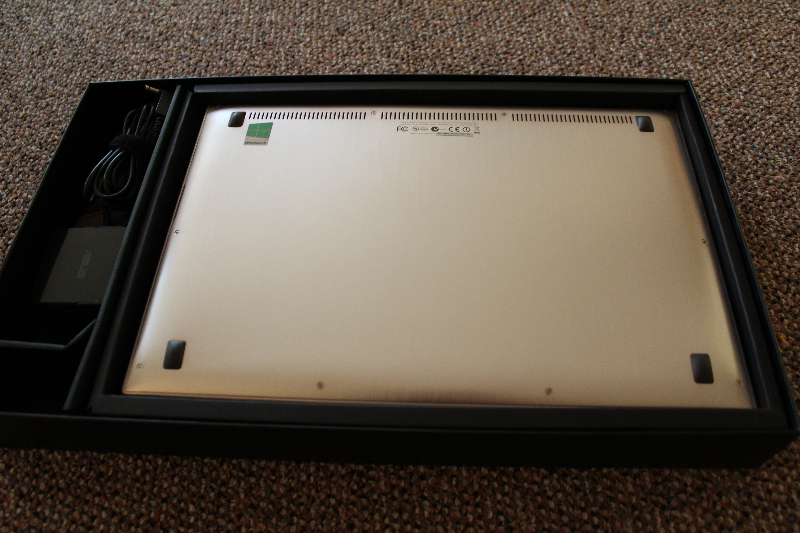 Given how easily the unit attracts dust, you’ll want to keep the microfiber cloth handy.